Just saw this on my Facebook Feed and seems like a really good deal! A BraZen Cobra Gaming Chair that was priced previously at £99.95 and has now been reduced by £60 to £39.95. Apparently you need to use the discount code BRAZEN60 at the checkout. Seems like a good chair too, I need a present for my nephew for his birthday so think he'll be getting this! This is a real bargain. 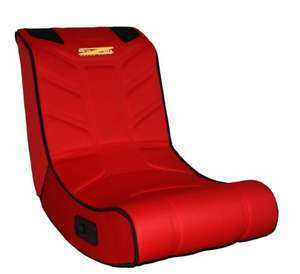 Not too many gaming chairs out there that are bright red. The only downside is that I paid the full price for my daughter for Xmas. Worked for me too! Comes up as £99.95 then just apply the code and the £60 deduction is made. Deal posting newbie! This is kasileigh1 first deal post. Help out by leaving a posting tip or just to show your appreciation for their contribution.